A crooning tenor is attempting to captivate the affections of the Rev. Rupert Bingham’s fiancée; Lord Emsworth is striving to remove a pumpkin-shaped blot on the family escutcheon; the Hon. Freddie Threepwood is making a last-ditch attempt to convert Lady Alcester to the beneficial quality of Donaldson’s Dog-Joy; and in the bar-parlor of the Anglers’ Rest, Mr. Mulliner fascinates everyone with the secret history of old Hollywood. The thing about reading—or listening to—Wodehouse is that his characters live such long, complex lives. 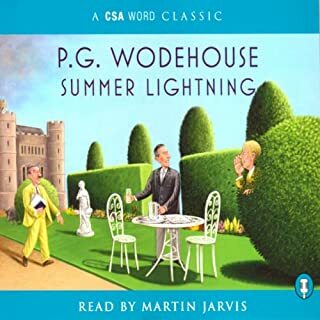 Bertie Wooster, for example, made his first appearance in 1919 and his last adventure was published in 1974, the year before Wodehouse’s death. Consequently, the happily married man in the novel you just finished reading may have a backstory you know nothing about. Beyond, of course, the arch allusions to his checkered career made by his wife, his relations or the narrator in the novel you just finished reading. It all adds to the odd realism of Wodehouse. Keen observers like Evelyn Waugh asserted that the England Wodehouse writes about never really existed. Yet the appearance and reappearance of places and characters, the ability to see the same character from several other characters’ viewpoints, the interweaving of characters— for example, Bertie Wooster and Tipton Plimsol both belong to the Drones and therefor must have at least a nodding acquaintance—all contribute to this queer substantiality, making the England of P. G. Wodehouse, Utopian as it is, as solid as Faulkner’s Yoknapatawpha County. 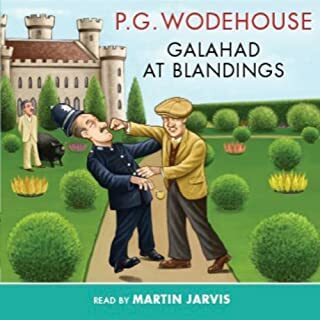 All of this is by way of explaining why Blandings Castle is such an enjoyable listen. You get the back story of how Freddie Threepwood met and married Niagara “Aggie” Donaldson. You finally understand what a character in one of the later Blandings Castle novels was talking about when he describes Lord Emsworth as being worried about his pumpkin (your natural reaction is to assume it’s a typo; he must have meant “pig”). You discover the surprising family connection between Lord Emsworth and his head gardener. And you get the full story, only alluded to in later books, of the chap from Nebraska. 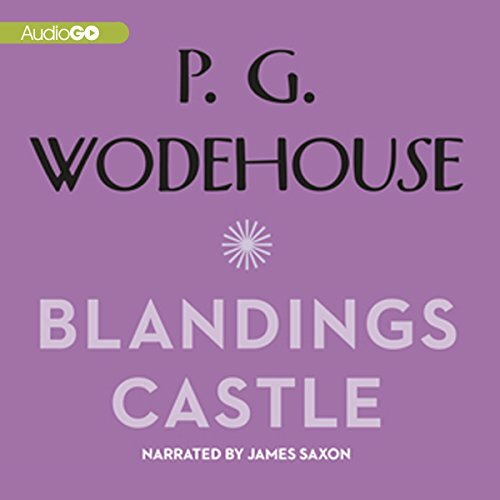 Beyond these revelations that do so much to illuminate the rest of the Blandings Castle saga, you get “Lord Emsworth and the Girl Friend”, probably one of the sweetest stories Wodehouse ever wrote; not saccharine sweet but rather revealing an unsuspected tenderness and solicitude on the part of the ninth earl. So much for the first six stories in this collection. The other six are a delightful grab bag: one featuring Bobby Whickam, the rest the various nephews and connections of Mr. Mulliner who work in Hollywood. Bobby’s tale is pure Wodehouse lunacy and the last story, “The Castaways” is a writer’s-eye view of Hollywood that should not be missed—especially if you’re a writer. James Saxon’s performance makes me wish he’d record more Wodehouse. His characters all live as individuals in your ear buds and his vocal range covers every Wodehousian nuance, from the sprightly and brainless to the dark and dubious. P. G. Wodehouse almost never disappoints. 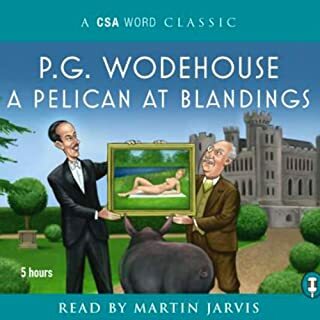 Wodehouse's Blandings stories are some of his best, and this performer does a fine job. 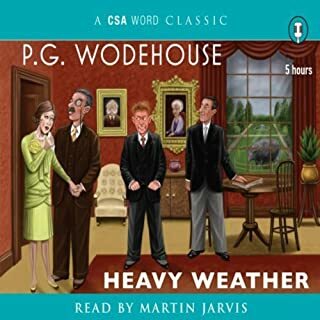 James Saxon is the best narrator for PG Wodehouse I have ever heard. I love these short stories and James Saxon’s reading only makes them better. 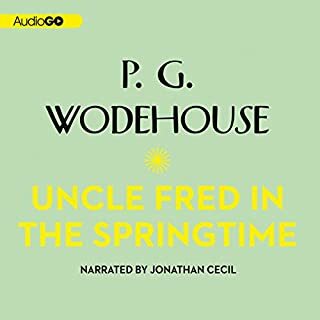 I only wish I could find other Wodehouse titles narrated by Saxon. the blandings stories are fine, but only about half the book: the others, so-so ones. 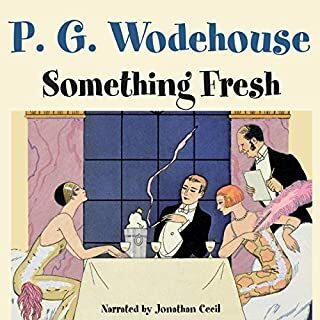 Wonderful stories with colorful characters that represent what made Wodehouse great. A fun listen well performed. I just wasn't as entertained with the Hollywood setting as I am with the castle setting. There is the same excellence in wordcraft, humor, and performance as in the rest of the series. It takes a certain kind of suave humor to read Wodehouse successfully. Saxon is adequate on any character with a British accent, though he doesn’t have the nuance to make the humor flow as it could. His American accents are atrocious. His upper class Americans sound like Brooklyn thugs in 30’s movies. He might as accurately read Lord Emsworth as a Cockney. Skip any story with an American character, is my advice.